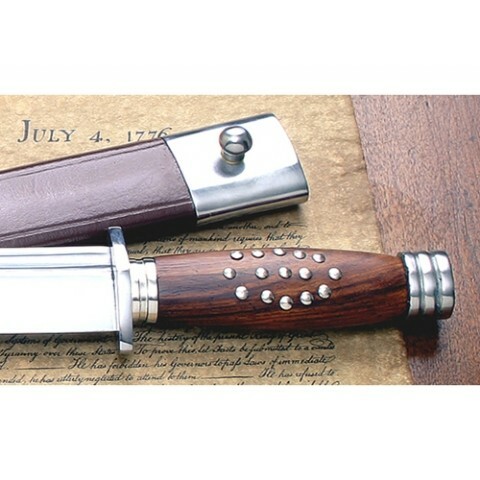 Often carried by civilians during the American Revolution. Large fighting knife also used on a daily basis for camp chores. Early cousin to the bowie and Arkansis toothpick. High carbon well tempered blade 25cm x 3cm. Comes with period steel tipped scabbard.